with your service advisor if you have any questions. 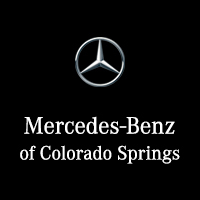 specifics for all Mercedes-Benz A services which adhere to all required elements of factory-recommended service items for your specific vehicle’s year and model. 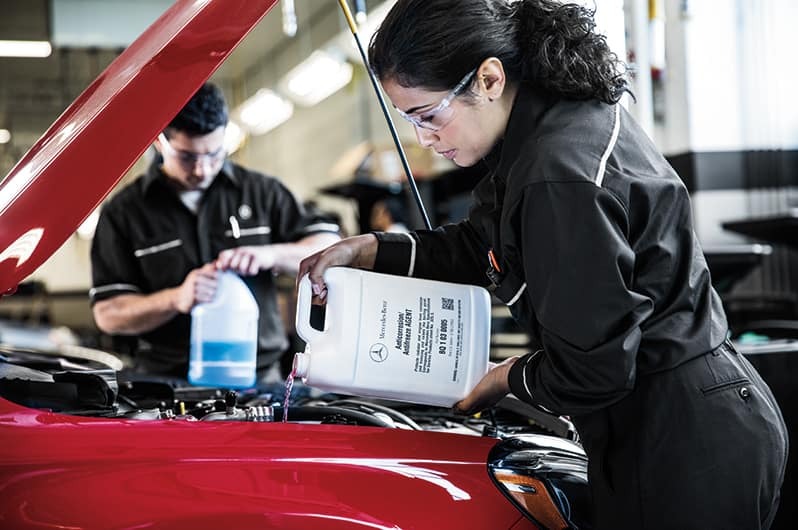 service adviser can provide specifics for all Mercedes-Benz A services which adhere to all required elements of factory-recommended service items for your specific vehicle’s year and model. variations, high altitudes, hot, cold, dry and dusty conditions that may require more frequent maintenance. Below are recommendations that will help you get the most from your Mercedes-Benz. Tire Balance and Rotation Every 5,000 miles: Staggered wheels cannot be rotated. Regular inspections, pressure checks, and balancing will help maximize the life of your tires. Brake Fluid Replacement Every 2 years or 20,000 miles: Brake fluid constantly absorbs moisture from the air; this lowers the boiling point that would impair braking efficiency if not replaced regularly*. Climate Control Dust Filter Every 1 to 2 years or 10,000 to 20,000 miles: The integrated filter can filter out most particles of dust and pollen. A clogged filter reduces the amount of air to the interior of the vehicle*. Engine Air Filter Every 2 to 4 years or 20,000 to 40,000 miles: A clogged engine air filter can rob your engine of power, reduce fuel mileage and cause damage to certain engine components*. Spark Plugs Every 6 years or 60,000 miles: Worn spark plugs can rob your engine of power, reduce fuel mileage and cause damage to certain engine components*. right to make changes at anytime without notice. This information does not apply to SLR models or vehicles with diesel engines. Other services or repairs may be required or recommended. *Price advertised for Service A/Service B includes all factory-required components. Please refer to your maintenance booklet for the complete list of factory-required services and details on the specific intervals for your vehicle’s year and model. For model year 2009-newer.